On a quiet moonless night, while at Flagstaff last year, I was fortunate to witness one of the finest meteor shower I have ever seen. The Geminids. 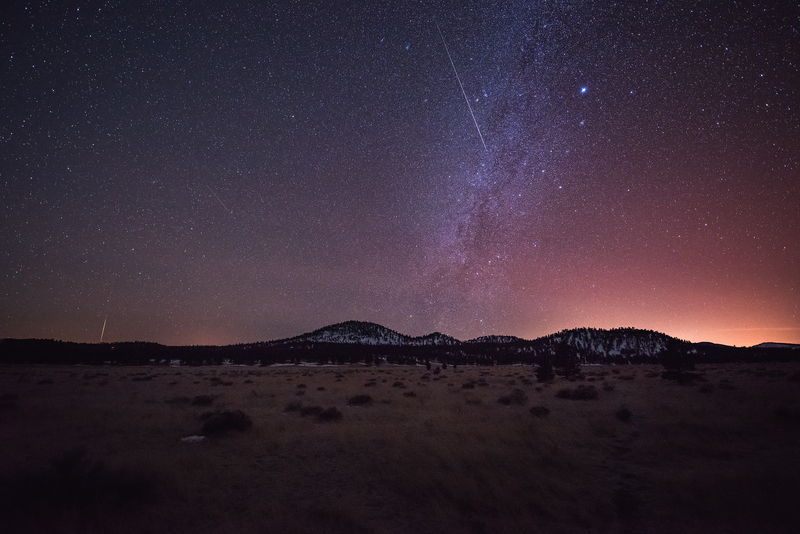 It was shortly after midnight, the Geminids lit up the night sky in all direction. White lights shot across the sky, painting pictures of otherworldly colors and shapes, leaving trails of dust and smoke as they disappear. Bearing the assault from the cold winds, I stood there in awe wishing that this goes on till dawn. And they say wishing upon a falling star makes the dreams come true. So it did!